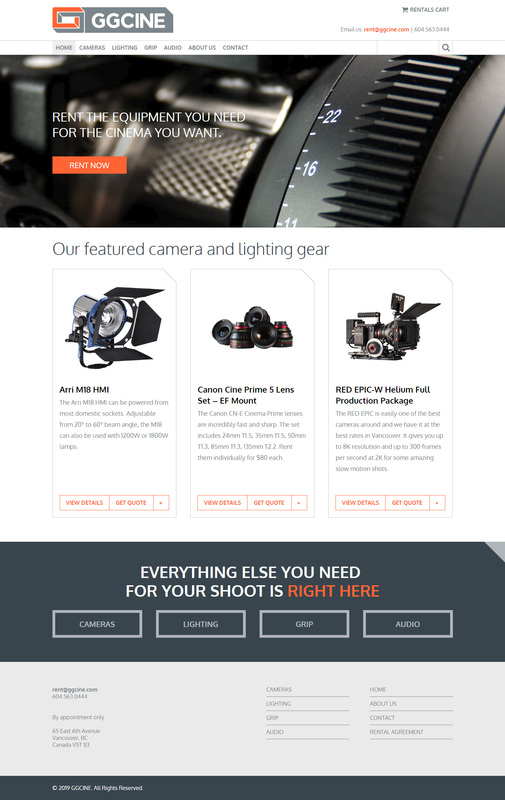 GGCINE is a camera & lighting equipment rental service based out of Vancouver, BC. Not only are the owners audio and video experts, they know what tools are required for great production. On their site you can find a great list of selection of items for your production needs. We built this site on WooCommerce to allow ease of product management as well as other features for their growing business.